Brainwashed - Liberez, "The Letter"
Newly reissued, 2011's The Letter was Liberez's formal debut, but it is new to me and confirms that John Hannon's gnarled post-industrial vision was great right from the beginning. In some ways, I suppose The Letter is a bit more primitive than the shifting ensemble's more recent releases, but that is more of an asset than a shortcoming with this project–it simply means that Hannon and his collaborators sound even more like a bunch of early '80s experimentalists bashing on oil drums and chopping up tape loops in a freezing squat or abandoned warehouse. I suppose Hannon's more recent work is a bit more distinctive in some ways, often resembling some kind of Eastern European folk music played with rusted junkyard instruments and blown-out amps, but The Letter has enough visceral power, freewheeling experimentation, and unconventional percussion to stand out in its own right. It might actually be my favorite of Liberez's three albums, though Sane Men Surround is damn hard to top. The only true constant in Liberez's long and enigmatic history is John Hannon, but it could be said that The Letter's configuration of Hannon, Pete Wilkins, Nina Bosnic, and Tom James Scott represents the band's classic line-up. After all, The Letter was the album that put the project on the map after nearly a decade of self-released CD-Rs and the foursome held together long enough to produce 2013's Sane Men Surround as well. Obviously, Hannon's collaborators always play a significant role in shaping Liberez’s direction, but this "band" is first and foremost a studio project that chops, processes, and reshapes its raw material into hallucinatory and distorted collages. Naturally, it is damn near impossible to tell what anyone may have played, as everything is reduced to corroded textures, ghostly moods, and caustic snarls of noise. At the album's core, however, are some texts written by Bosnic (and presumably read by her as well). The album appropriately opens with a fragment of those writings, as a female voice that sounds like it is coming from an answering machine simply states "a letter." That is the entirety of the one-second "The Letter (Part One)," but fragments of that dispassionate, clipped voice continue to surface throughout the album, giving it a fever dream-like narrative thread of sorts. The album's first real piece, "_gag" also features a voice (male this time), but it sounds like someone is strangling a malfunctioning walkie-talkie. To Hannon’s credit, he manages to craft a nearly five-minute song out of those distressed eruptions of static, as the piece crawls slowly along over a hollow, repeating thrum and a hauntingly obscured undercurrent of chimes and simmering entropy. That entropy does not stay simmering forever, however, as it finally boils over and tears the piece apart in the final minute. Liberez excel at catharsis. That vein of dreamlike, rhythmic hallucination ripped to shreds by howling eruptions of snarling noise is definitely a deliciously recurring one on The Letter. In fact, it resurfaces almost immediately with "Exercise Restraint," which marries a woody and plinking Eastern percussion motif with buried snatches of voice and a warbling drone, then burns it all to the ground with a churning explosion of roaring guitars and scorched trails of feedback. Sometimes Hannon is content to simply weave a surreal vignette without any towering cascades of noise though. 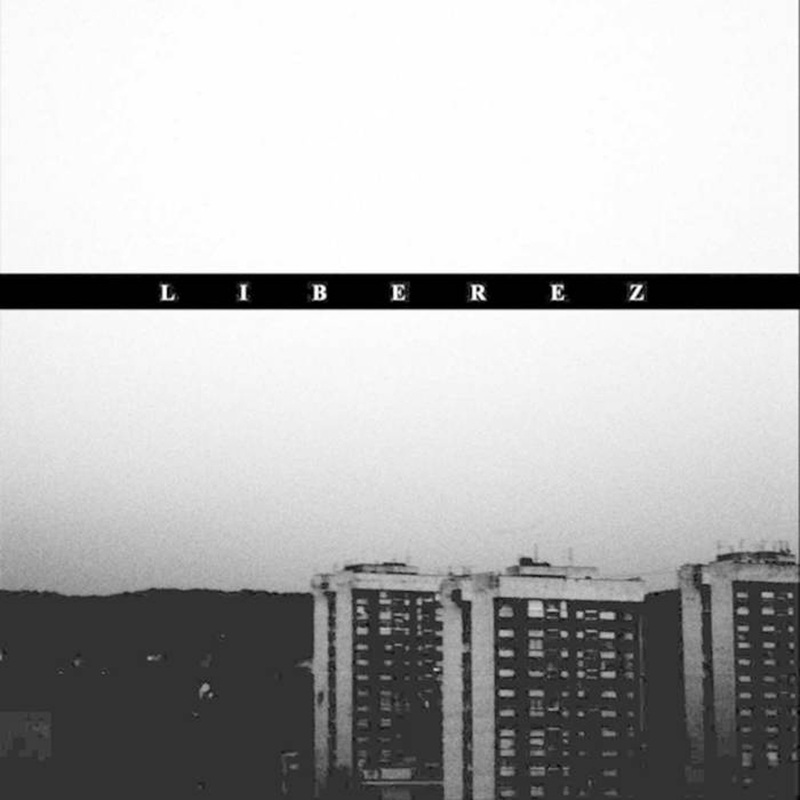 The two strongest manifestations of Liberez's more nuanced side are both tucked away near the end of the album. The first, "Moved To Quell," is essentially just a ringing, percussive-sounding guitar motif that insistently repeats as an evocative fantasia of train sounds, drifting voices, and ravaged electronics bleed together in its depths. Elsewhere, the closing "Exercise Restraint (Part Two)" brings together an endearingly lurching groove, a woozily spectral pulse, an unintelligibly muddied monologue, and a quivering haze of harmonics. To my ears, it is the strongest piece on the album, but it gets serious competition from the blackened guitar squall and hammered metal percussion of "Atheist Rabble." "The Letter (Part Three)" is yet another highlight, resembling a disorienting pile-up of overlapping tape loops, moaning strings, and a sputtering chord that is desperately trying to force itself into the piece. Given The Letter's initial limited, vinyl-only release on Luke Younger then-new Alter imprint, it is understandable that it did not make a big splash in underground music circles, but I am absolutely mystified about why this project is not appreciated far more seven years later. To my ears, it genuinely feels like Hannon has reignited the radical experimental zeitgeist of bands like This Heat, Einstürzende Neubauten, and Test Dept and taken it in a compelling direction all his own. I suppose those bands all had actual songs with vocals though, which may be a factor. And, more importantly, they all hit the scene at a time when post-industrial music felt genuinely vital and revolutionary. Liberez's rusted and scorched soundscapes were simply born at the wrong time, I guess. As far as I am concerned, however, this short-lived quartet got everything exactly right with their debut, achieving a beautifully executed mélange of unconventional percussion, broken-sounding guitars, explosive noise squalls, and chopped up mobile phone and cassette recordings that feels vibrant, visceral, and contemporary. Liberez are a refreshingly bracing and primal oasis in the current experimental musical landscape. I want sound art to be this raw, inventive, and intense again. Also, I bet Brion Gysin and William Burroughs would have dug this album. Something very cool is happening here–take notice.